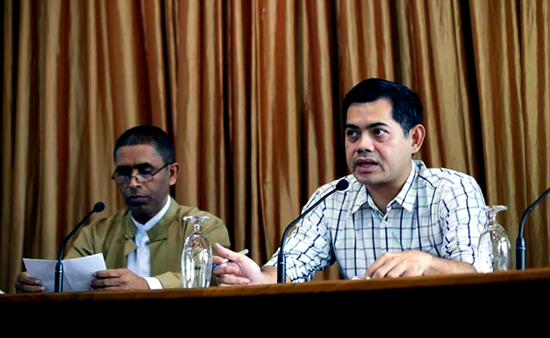 The Thai authorities arbitrarily detained, intimidated, and monitored the movements of some ethnic Rohingya community leaders and human rights defenders from Myanmar who lawfully reside in Thailand, involved in the event – a question-and-answer session from taking place at a Rohingya-focused civil-society-led press conference in Bangkok on June 23, according to fortify Rights press statement issued on June 28. 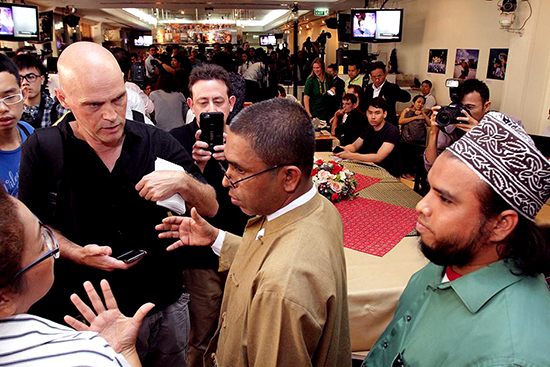 On the morning of June 23, Thai Military Intelligence officers arbitrarily detained Mr. Haji Ismail, a Rohingya community leader or Rohingya ethnic human rights defender who was scheduled to speak at the Rohingya-focused press conference. The officers transported him to the press conference, monitored his discussions with journalists at the event, and escorted him back to his residence. The authorities continuously monitored Mr. Ismail from June 23 to 26 – during Myanmar State Counsellor Aung San Suu Kyi’s visit to Thailand June 23 to 25, Thai authorities arbitrarily detained, intimidated, and monitored the movements of several Rohingya community leaders from Myanmar who lawfully reside in Thailand. Some continue to be monitored, the statement stated. Moreover, Thai police also detained at a police station another Rohingya community leader and human rights defender—whose name is withheld here for security reasons—for the entire day on June 23 and instructed him to report to another police station the following day, the report said. Fortify Rights accompanied him (as per his request) to the police station on June 24, where five plain-clothed police officers questioned him and threatened to deport him to Myanmar. But, still he is not in detention, the report more said. Other Rohingya human rights defenders also reported being monitored by Thai authorities beginning June 23 and continuing to date. Some people who identified themselves as intelligence officials called their phones multiple times on a daily basis and questioned them about their whereabouts and activities, according to fortify rights report. “It’s a sad day when it’s easier to have a discussion about the Rohingya in Yangon than in Bangkok,” Sam Zarifi, the regional director of the International Commission of Jurists. The U.N. recognizes “human rights defenders” as “individuals, groups and associations…contributing to…the effective elimination of all violations of human rights and fundamental freedoms of peoples and individuals.” The U.N. Declaration on Human Rights Defenders provides specific protections for human rights defenders in the context of their work, including the rights to peaceful assembly, freedom of expression, and the right to seek, obtain, receive, and hold information relating to human rights. This entry was posted in English, News and tagged Arakan, Bangkok, human rights defender, no security, Rakhine, Rohingya. Bookmark the permalink.